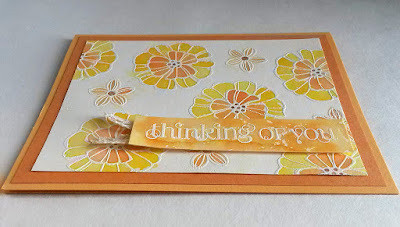 I love trying different papercrafting techniques! Whether I've tried them in the past or not doesn't matter. 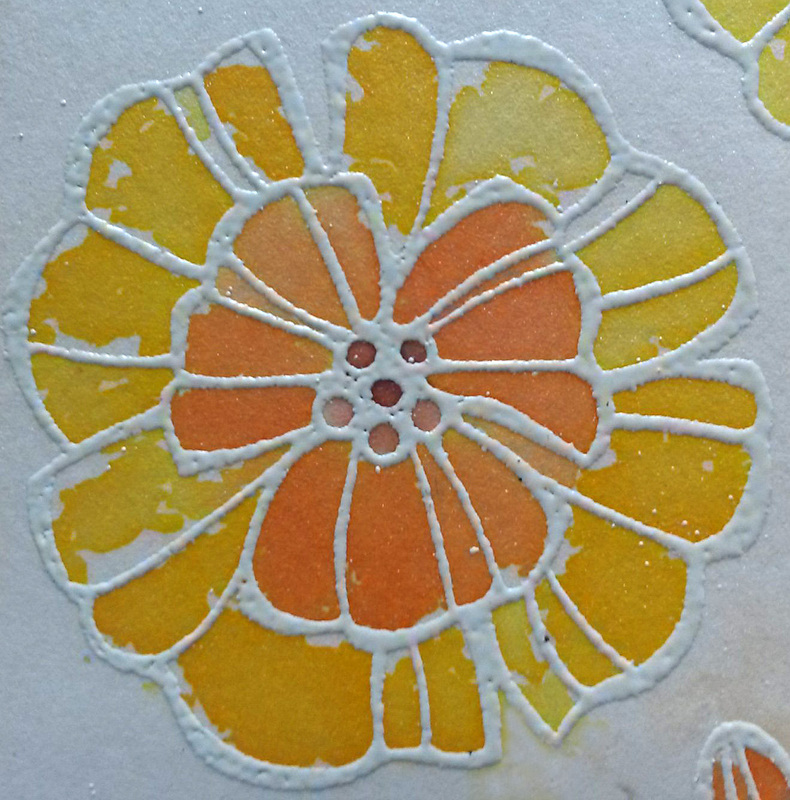 Even if I've already created something with a specific technique, it is always lots of fun to re-visit the tried and true. One example of a beloved technique that has been around for quite some time and that always provides a wonderful end result is the Floating Reinkers technique. It is probably known to some of you by various other names, but this seems to work for me: Floating Reinkers. Because that's exactly what it is. It's funny, but it was almost exactly three years ago today that I presented a creation made with that technique on Paper Seedlings. If you'd like to read the post, you can access it HERE. 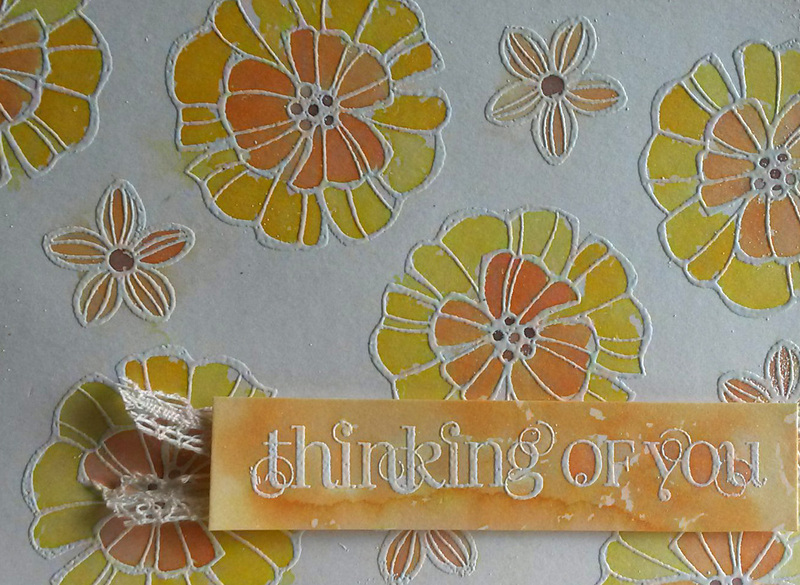 Anyway, the other day I was inspired to give this beautiful technique a try using a current Stampin' Up! set, Falling Flowers, found on page 127 of the current catalog (until May 31) or on page 143 of the wonderful new catalog that goes live on June 1! 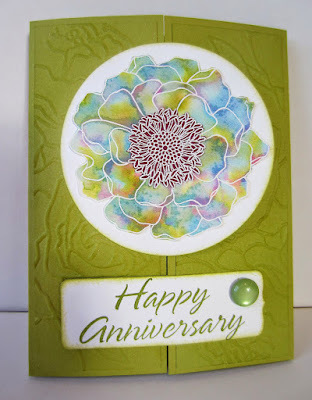 For this card though, instead of using Stampin' Up! 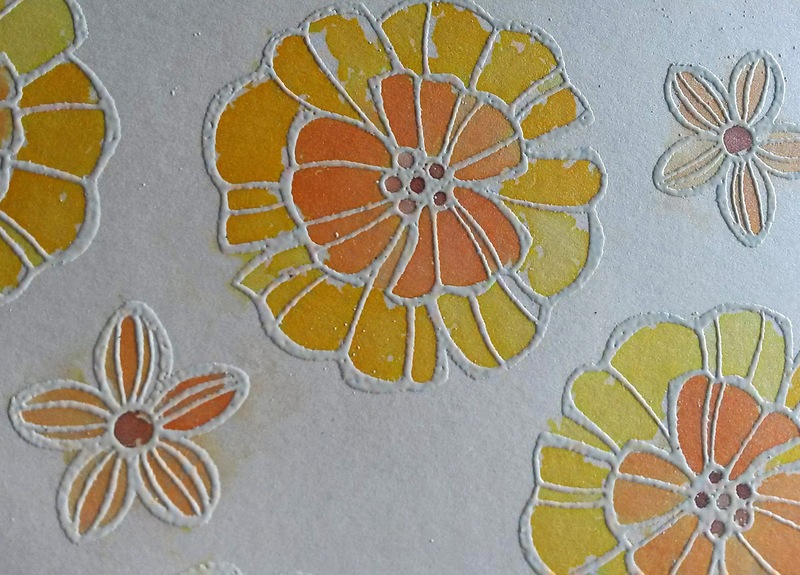 's Shimmery White cardstock, I wanted to see if an alternate cardstock, a cream-colored pearl-finish paper, would work equally as well. I did the embossing in the retired Stampin' Up! 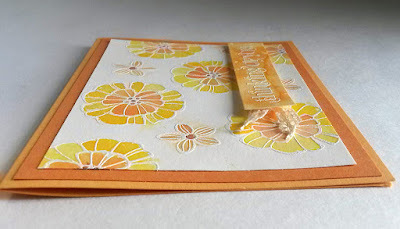 Vanilla embossing powder. 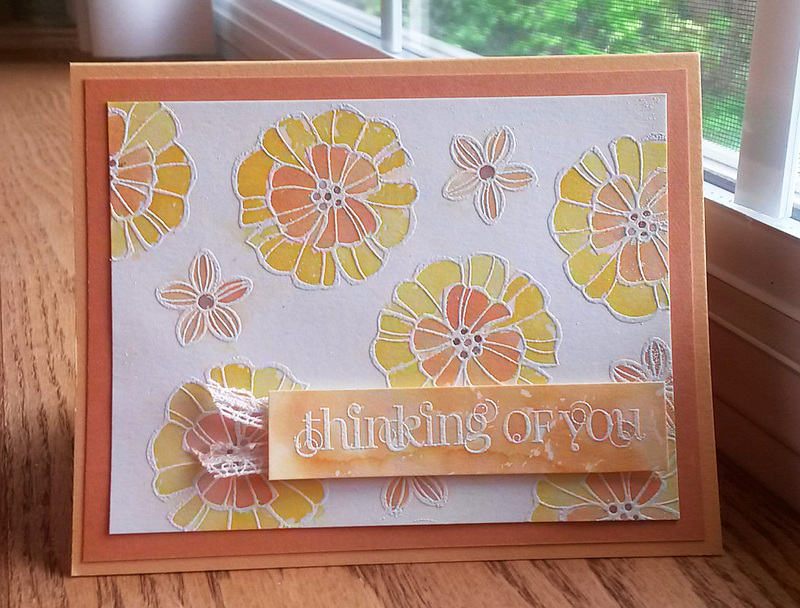 So, this was really an experiment since I know that Shimmery White is the normal go-to cardstock for this technique. Well, I am thrilled to report that it worked really well! The large flowers remind me so much of marigolds (love those little blooms! 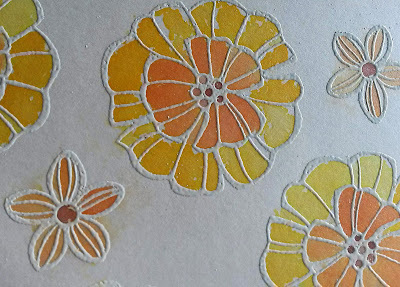 ), so I decided to color the flowers on my card to imitate them. 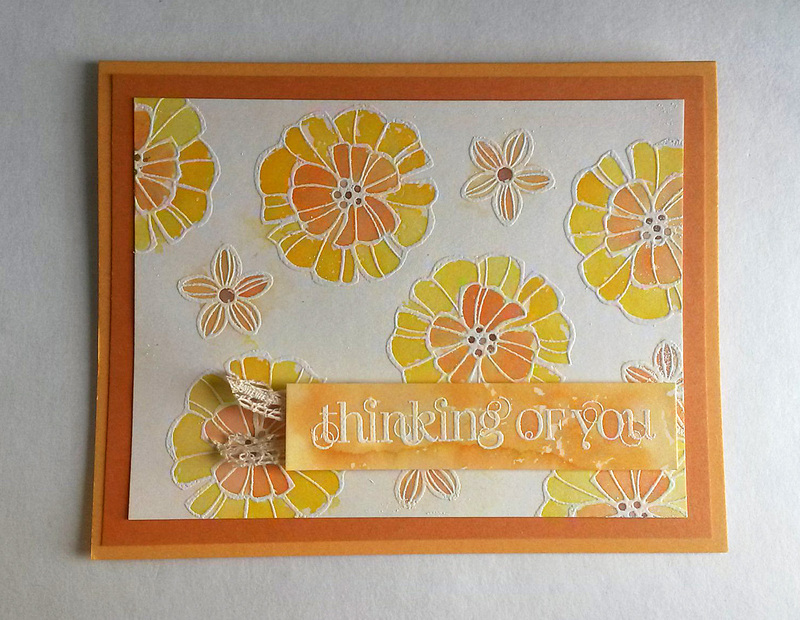 And, since I wanted my sentiment to be just as charming as the flowers, I chose Curly Cute (retired -- boo hoo!!) 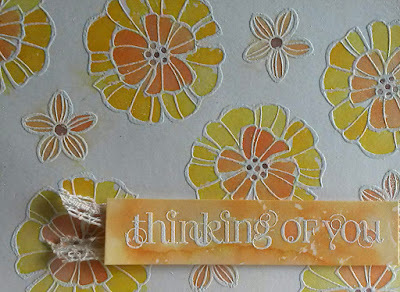 for the Thinking of You. I treated that piece exactly like I did the flowers. 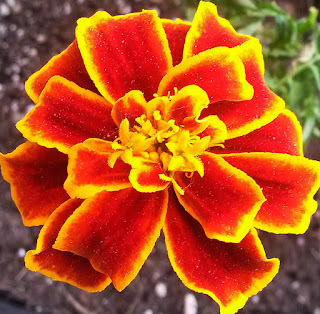 Just a little break here to treat you to a photo of a real live marigold. I know it's a different variety than my flowers, but you get the idea. Pretty, isn't it? There's not a lot of dimension in this card. But, it's fun anyway. The photo below is from the post I previously referred to. For a complete tutorial on how to do the Floating Reinkers technique, you can find it HERE. This is really beautiful Linda! Thanks for sharing at the Pleasures of the NW's DIY party! What a beautiful card. I love the attention to detail. Lovely card, and an interesting technique. I agree. This work is gorgeous, Linda. Thank you for sharing it #BloggingGrandmothersLinkParty. This is such a happy card! I love how you colored the flowers to look like marigolds. 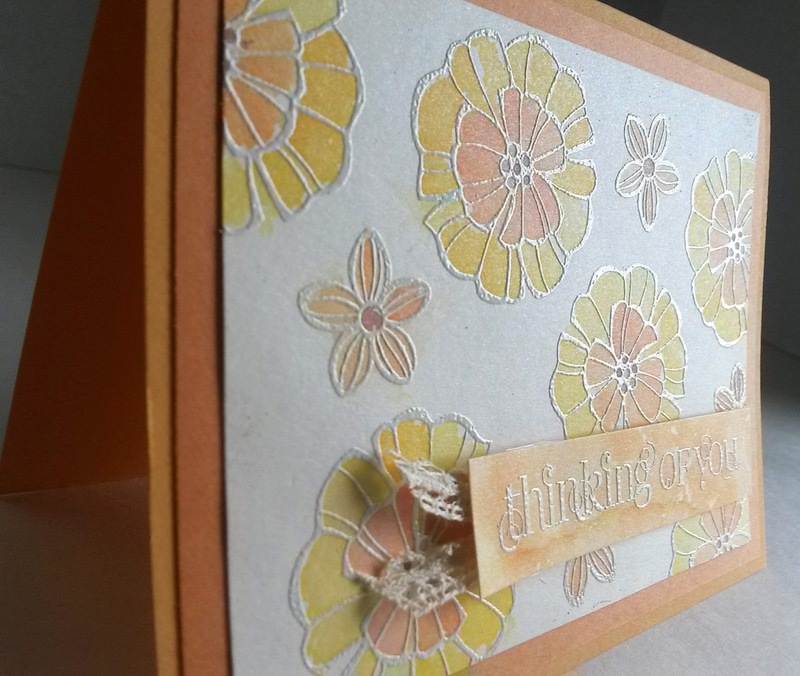 It's such a pretty card I am sure anyone would be happy to receive. Thank you for linking up with us at the #HomeMattersParty this week. Looks nice, great job! 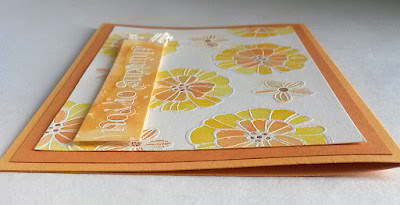 Thanks Linda for linking up at the #BloggingGrandmothersLinkParty. I shared this post. 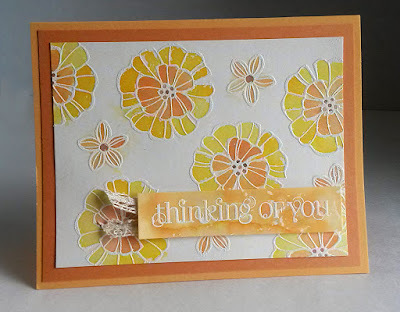 Such a pretty card with a lovely technique! 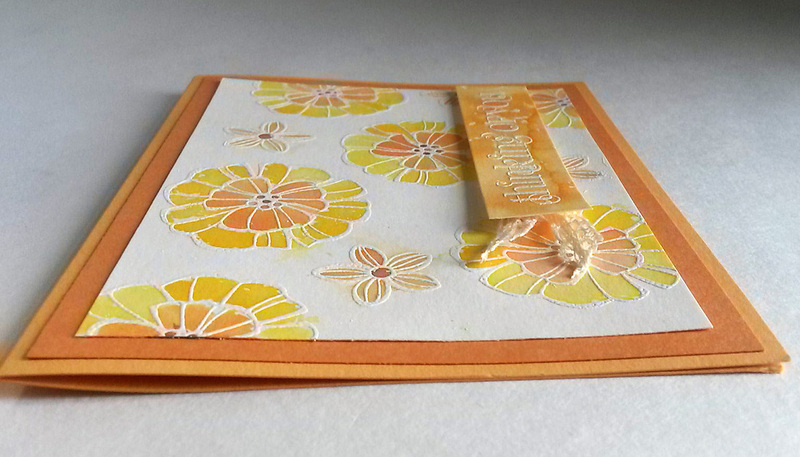 I love the happy colours in this card. 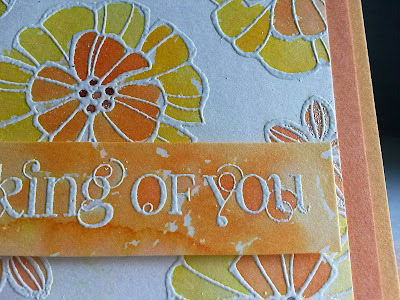 Thank you for linking up and sharing with us at #BloggingGrandmothersLinkParty. I've shared on social media and hope to see you next month. This is such a pretty card. I think you chose wonderful colors. I find all of your cards to be pretty works of art! Thank you for sharing it with us on the #BloggingGrandmothersLinkParty. Shared on social media!